We walked into yesterday’s Bloody Battle of the Bands at Remington’s Southside to find a sea of donors at tables giving a pint for their favorite bands and a good cause. It was a healthy crowd–in more ways than one, apparently–and a spry one, at that. Performing bands were often greeted by a leaping, singing, dancing mass of people. It looked good, but how were the numbers? 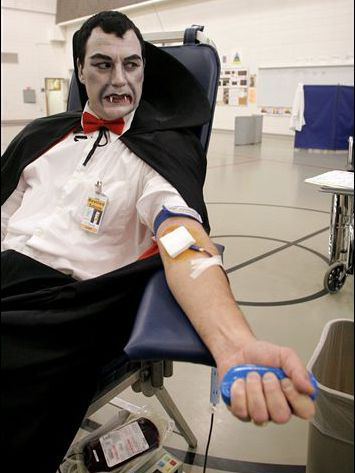 This was a blood drive, after all. And who won the battle of the bands? We’ll put a bow–or, perhaps more appropriately, a little bandage–on the whole thing for you after the break. 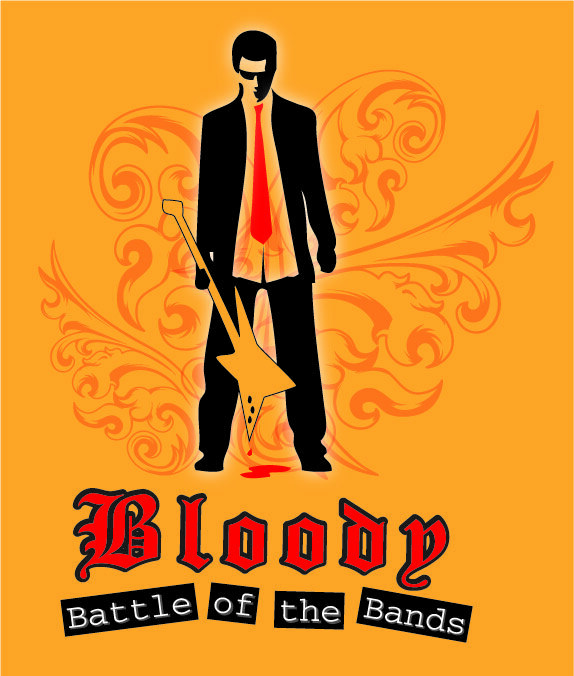 It’s been a little while since we last discussed the upcoming Bloody Battle of the Bands, the combination BOTB and blood drive for Community Blood Center of the Ozarks coming to Remington’s (one M, Southside) in August. When we first brought the news to you the battle was far away; now it’s a mere three-or-so weeks, and there’s a lot to tell you about that wasn’t locked in before. Click the link below and get caught up drop by drop. So as soon as you're done you give me a ballot and I can go vote for Vampire Weekend, right? ...what do you mean they're not playing? Damn... I need a cookie. The call is out to high school bands in Springfield and surrounding areas to participate in a most unusual event. You may recall a previous post where we told you about the upcoming Bloody Battle of the Bands at Remmingtons Southside, in which the Community Blood Center of the Ozarks has high-school bands compete in 20-minute sets from 3 to 9 p.m. for a prize package including eight hours of free recording time at Studio 2100. To vote for bands, those in attendance donate a pint of blood in exchange for a ballot. Cool idea, eh? Well, we officially got the APB from the CBCO’s Jeff Houghton: High-school bands interested in playing can contact him at houghj@cbco.org to register or for more information. For eight hours of time in one of the city’s elite studios, plus a whole lot more–additional prizes are still being worked out at this time–it seems like very worthy use of a young band’s time. Additionally, high-school-age bands tend to carry devoted fanbases, so attendance (and, therefore, donations) should hopefully be strong. Did we mention it’s a big local show in the middle of summer?! Lots of intrigue all around. Let the bloody battle begin. What’s going on, DeRosh? They’re allowing bloodsports at Remington’s now?! I thought that was owned by a church! What next? Is Jean-Claude Van Damme flying in for it?! No, but what a great emcee idea… anyway, no, they’re not bringing kickboxing to Remington’s Southside, but rather an innovative approach for a local battle of the bands in the name of a good cause. We’ve got details after the break.